Anyone who reads the bill in question will see that it was not tuition for illegal immigrants, but rather for those on a path to citizenship. That is a big difference. We are a nation of immigrants, and those on a path to citizenship, paying taxes and learning the English language, should receive state benefits. Ryan's second point shows where he and I differ on immigration. Whereas, he apparently would rather beef up enforcement in America, I want it to happen on the border. This is entirely consistent with the lawsuit I would file if elected Oklahoma's Attorney General. By making the federal government secure our borders, we will effectively reduce the expenditures we have to make here in Oklahoma." 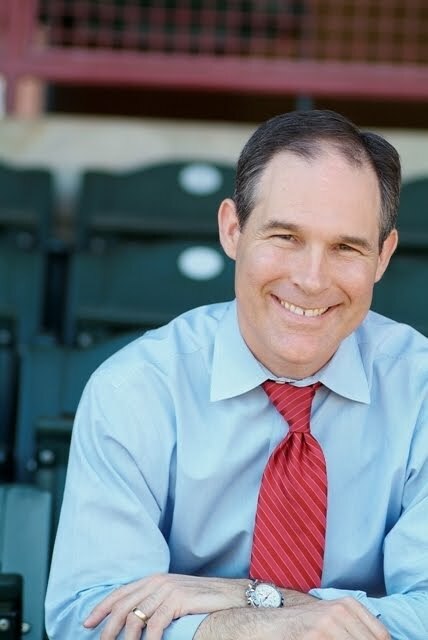 For more information on Scott's real record, visit www.scottpruitt.com. Leonard issued his 'fact sheet' yesterday (see this post) in response to Pruitt putting out his immigration suit plan. his run for Lieutenant Governor in 2006, when he lost in the GOP runoff to former State House Speaker Todd Hiett after raising and spending well over $1,000,000.